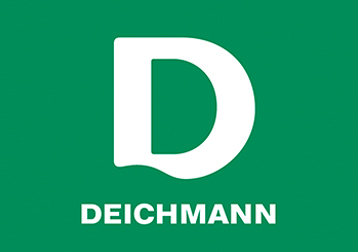 Deichmann is Europe’s biggest shoe retailer. At over 100 years old, the brand has stores in 24 countries across the globe and almost 100 nationwide. We offer a wide selection of shoes for all age groups possibly the most comprehensive selection on the market. We don’t just ensure outstanding value for the money we’re also quick to bring out the latest fashion trends. Our fashion scouts are hot on the trail of the latest trends and bring current fashion developments into our collections quickly.